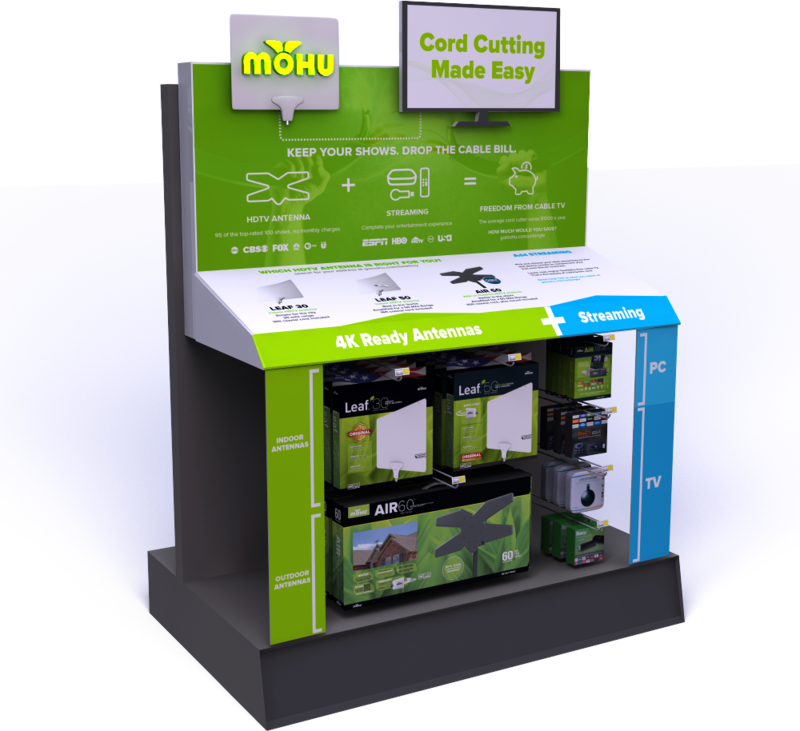 As part of a retail opportunity, Mohu was asked to design a custom Best Buy cord-cutting display to boost in-store sales and education. We took three different approaches on style and cost, from a more eye-catching fiberglass structure to a design utilizing existing peg hook shelving. 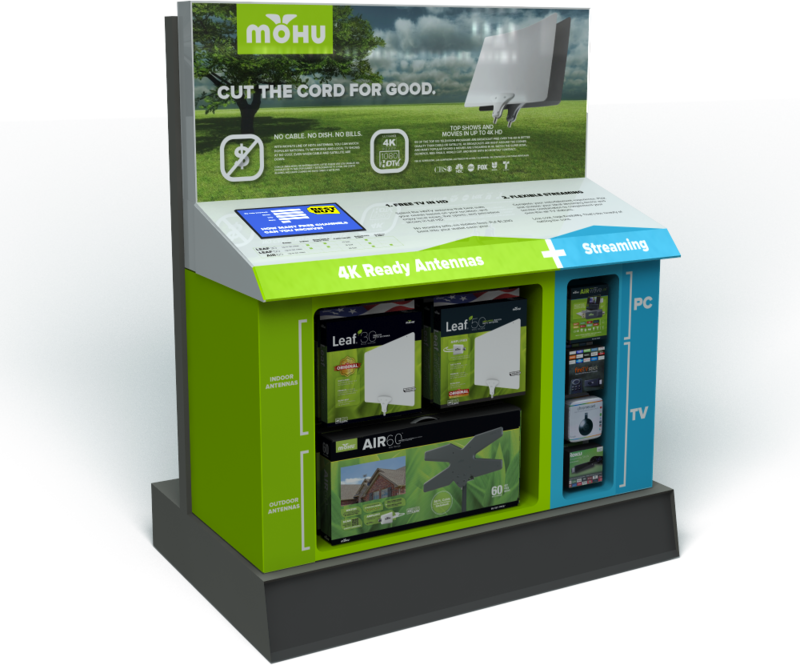 We wanted to draw the viewer in with tangible antennas and interactive displays to ensure the consumer gets the best antenna depending on their home address. 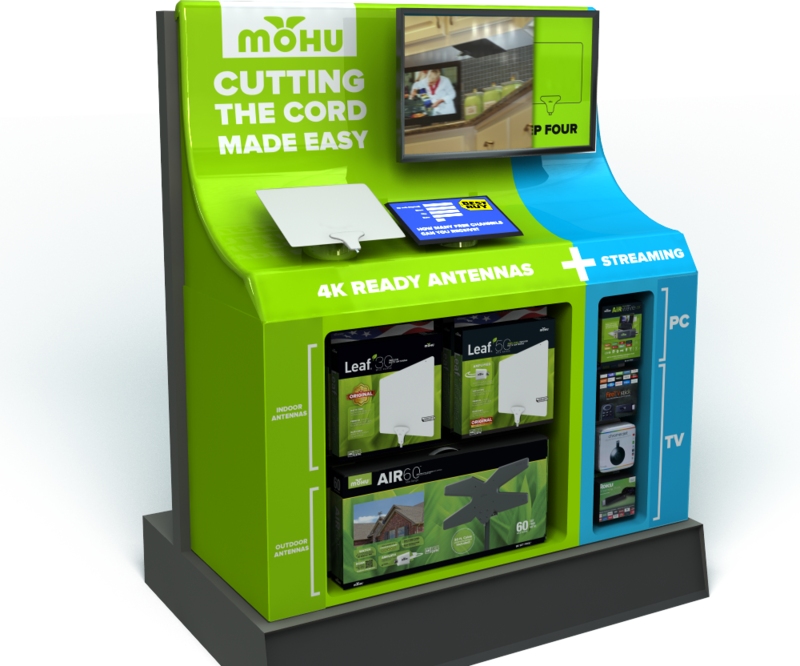 We wanted to also partner with streaming device companies in order to create a one-stop shop cord-cutting experience.